Out of nowhere I experienced workout performance anxiety. Tuesdays are our workout days. During cross country these are either on the track or on a part of the course, and since girls run a 6K, the repeats always equal a 6K or longer. If they’re on a course, they’re also monotonous, as they are the same. loop. over. and. over. As you can probably guess by now, the last thing on my mind was doing the workout yesterday. As I ran from class to practice, I started running the warm-up. My legs felt dead after not having a day off of running in nearly two weeks. My brain was fried from just two days of classes. And on top of that my emotions were shot just from having all four of my roommates back in my apartment. Why, oh why, did I have to run a hard workout today? I started telling my friends that there was no way I was getting through this, that I needed to stop, that I was going to tell coach that there was just no way this was happening. Somehow I didn’t quit before I even started. We finished our warm-up at the top of the hill where we meet our coach and were told we’re doing 8×800 at the starting line of the course. I get a reasonable split, thinking I can hit it. Nope. I struggle through the first one, hitting 3:36 instead of the 3:16 that my coach asked of me. My emotions fly all around . I didn’t hit my split. I’m tired. I don’t want to keep failing. I tell him I want to quit. He tells me tomorrow will (finally) be a rest day, but I still feel like just ending my misery and heading back to the couch. This just wasn’t feeling fun anymore. Okay. Let’s take a step back. If I had stopped after the second 800 like I wanted to, not only would I be letting my teammates down, but I would also be avoiding dealing with my performance anxiety about it, something that wouldn’t help me in the long run. Instead of running away, I thought of something I learned in my psychology class. 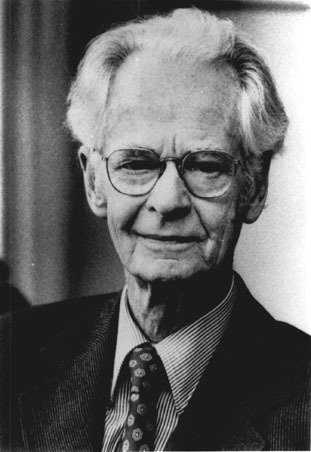 It might sound intimidating, but behavioral psychology, specifically B.F. Skinner‘s studies on operant conditioning offer a solution. I promise it’s not difficult. After all, I’m not a psychology major, and learned most of this in an introductory course! Based on Skinner’s theories, if you want to overcome your performance anxiety you will want to focus on negative reinforcement. In plainest terms, negative reinforcement is removing something unwanted; in this case, the anxiety I feel before nearly every Tuesday workout. Another more simple example mentioned in the article is just buckling your seatbelt in the car to remove the annoying beeping noise. So the only way for me to get over my pre-workout anxiety, according to Skinner and his comrades, is to just do the workout, since once I do the workout, it disappears. The more I keep doing workouts, the less anxiety I should encounter. I can definitely say my anxiety has lessened over the years, and running has become more fun (and I’ve gotten faster). Yes. Really. The key to overcoming performance anxiety is to do the thing you’re anxious about doing. Just do it! If tempos make you nervous, do more of them. If it’s track workouts, hit the track regularly. If it’s racing, you know what you need to do: race more! Just do it and not only might you get rid of your performance anxiety, but you might reap other benefits like a first-place team finish. So give it a whirl. Next time you’re nervous for a race, workout, or anything in life, just do it. Even when you’re scared remember that the anxiety will only go away if you do the workout. Avoiding it won’t make you feel better and won’t help you solve your performance anxiety problem. Sure, it might not seem like it works the first time. But each time you just do it, you should feel less anxious and eventually the anxiety should disappear. As for me, I sucked it up and just did the workout that was freaking me out. Yes, my legs were tired, my splits were slow and I cried a little bit when it wasn’t going well, but I felt better after the workout. Not only that, I feel stronger, got to drink tons of chocolate soy milk, and actually believed my coach when I read this article about our upcoming season. And most importantly, by the seventh repeat and the cooldown, the workout was fun! It also gave me a huge confidence boost for our season opener on Saturday! Do you ever experience workout performance anxiety? How do you cope with it? This rings very true to my own experience. With the way my life is I only have certain times and places I can run and it will be that way for weeks and then it changes because of circumstances and then I have to adjust. For instance, I had the baby in December, so it was the winter. She was too young to go to the gym with me and it was too cold to go in the stroller (plus the three kids thing). So, the only time I could get in runs was during nap time on my basement treadmill. At first I was nervous it wouldn’t work out, but after doing it a few times it became second nature. But then the weather improved and I had the opportunity to do stroller runs when my son was in school, but then this made me nervous. Would I forget something? Would the baby fuss and cry. Would my old daughter whine and throw a fit? Would it feel awful? But then after just doing it a few times, that became second nature. And then I had the opportunity to go back to the gym and so on and so forth. Every time my schedule changes and I have to change when I get my runs in I go through this and every time if I just do it, it turns out fine. Goes to show that our anxiety is often for nothing!